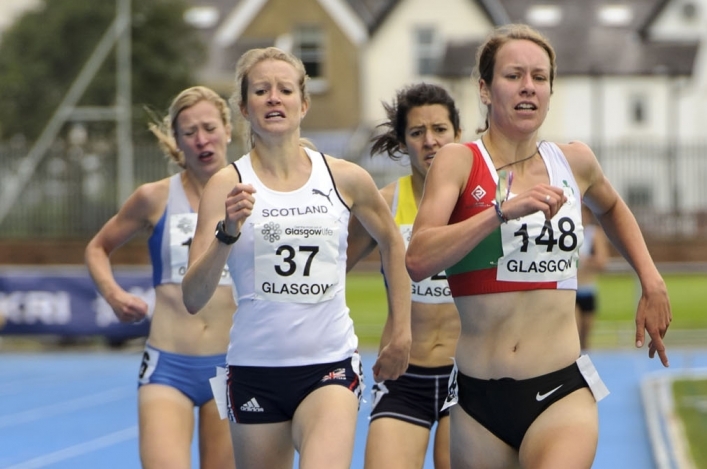 English Commonwealth Games representative Helen Clitheroe will join forces with Scottish Glasgow 2014 runner Susan Partridge to form a cross-border duo in the pioneering Morrisons Great Edinburgh Run Team Relay on Sunday 19 April. And Derek and Callum Hawkins will also be in action as the Kilbarchan AAC pair team-up in the relay event. 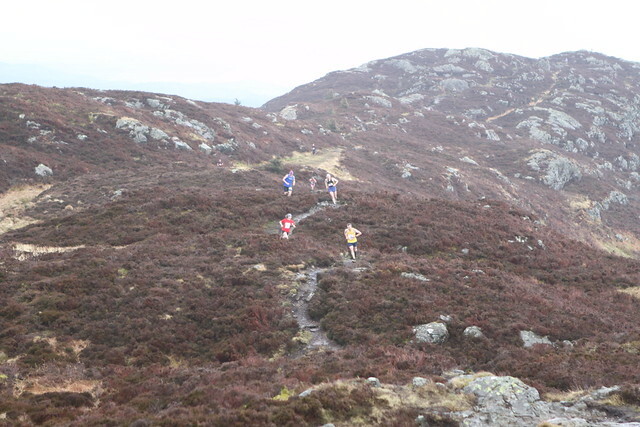 Organisers of the popular 10-mile race in the Scottish capital have offered runners of all abilities the chance to split the distance and tackle it as two-person teams in 2015 and Clitheroe and Partridge have decided to take up the challenge as an Anglo-Scottish force. ‘It sounds like fun,’ said Clitheroe, the 2011 European Indoor 3000m champion from Preston. ‘It’s something a bit different and it fits in well with what I’m doing at the moment. 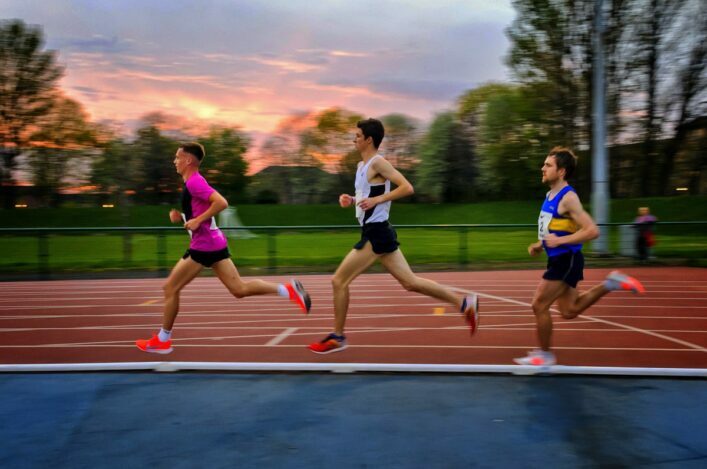 Clitheroe, who finished 11th in the Commonwealth 5,000m final as a 40-year-old last summer, has decided to take an indefinite break from track racing and in recent weeks has finished fourth in the Reading half-marathon and first in the Guernsey Easter Festival 10km road race. 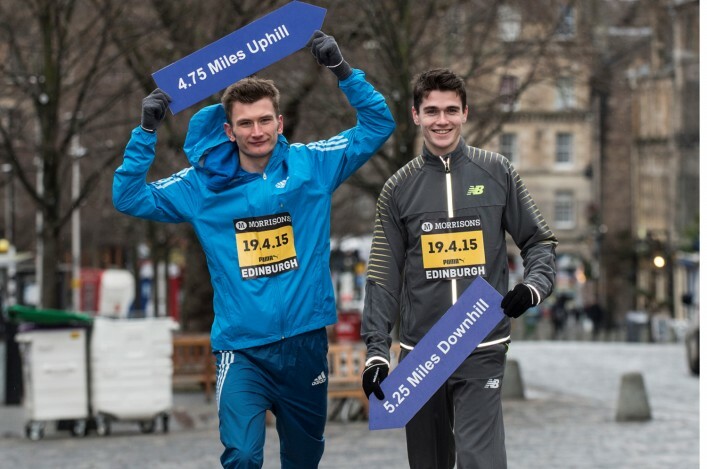 The Morrisons Great Edinburgh Run Team Relay will involve one runner completing a hilly 4.75 mile section of the course and the other a more forgiving but longer, 5.25 mile, stretch. The race starts and finishes in Holyrood Park, with the changeover area in the Grassmarket. Partridge, 35, has been steadily working her way back to full fitness after taking a prolonged break at the end of Commonwealth Games year. The Oban-born athlete finished sixth in the marathon at Glasgow 2014, clocking 2.32.18, the fastest time by a female Briton at the 26.2 mile distance last year. Brothers Derek and Callum will be forging a special family team. Derek, 24, finished ninth in the men’s marathon at the Commonwealth Games. Callum, 22, was 20th in the 10,000m on the track at Hampden Park. Overseas opposition in the Morrisons Great Edinburgh Run Team Relay will be provided by 2006 Commonwealth 10,000m champion Boniface Kiprop from Uganda and Kenya’s Loitarakwai Lengurisi. 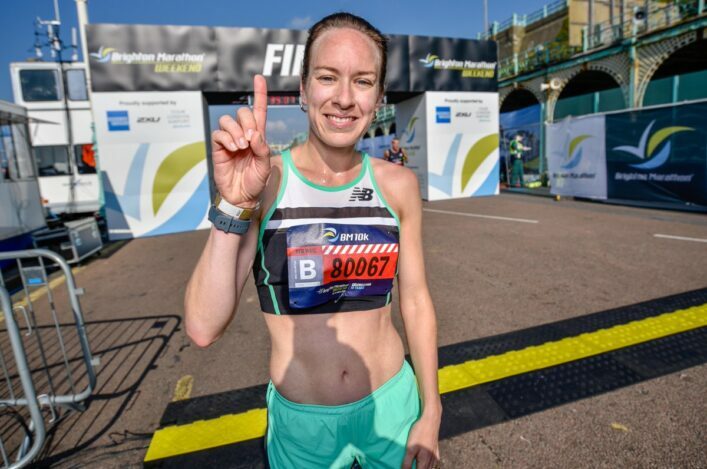 Steph Twell was racing last weekend and came up with a victory in the Brighton 10K event. The Scottish Commonwealth Games representative and Delhi medallist clocked 32.49 on the English south coast and that takes Steph in at second place on the rankings for British women over 10k so far this year. It was not too far adrift of her own PB for the event, either, (32.28 at Leeds last November) and an encouraging sign for the summer ahead. Callum Hawkins featured at Brighton, too, and came up with a PB of 29.19 for third place in the men’s race. Andrew Lemoncello finished fifth with his time 29.42. 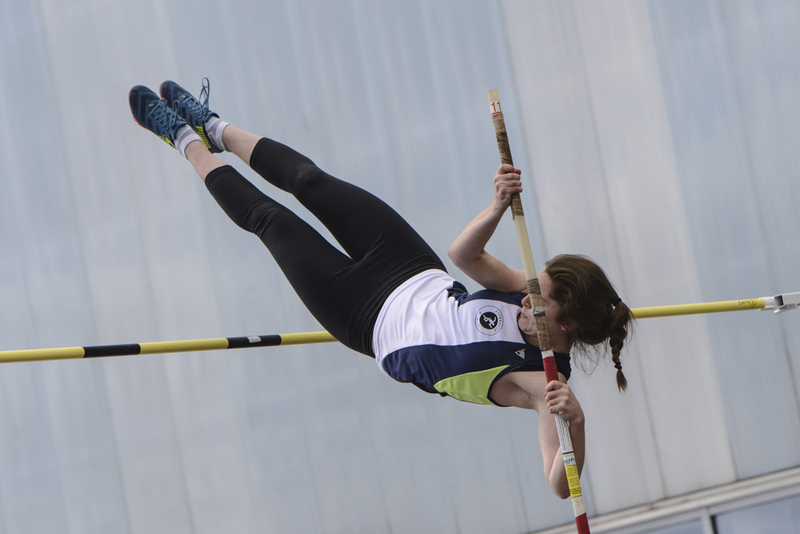 Congratulations to young pole vaulter, Anna Gordon, on a very fine performance at the Pitreavie AAC club championships last Friday night. The pole vault took place indoors and Anna’s 3.90m clearance matched the Scottish U20 record currently held by Kim Skinner. Well done to Anna, her family and coach Eamon Fitzgerald. There will now be a ratification process on the performance in terms of equalling the U20 record. On this website, there are new details on how those involved should process a performance for possible confirmation as a Scottish record. There were victories at the Round the Houses 10k in Grangemouth for Kyle McLellan of Edinburgh Uni and Central AC’s Jennifer Wetton. Kyle came home in 30.35 to win from Falkirk Victoria Harriers athlete, Ryan Beattie (30.58), and Edinburgh AC’s Bryan Mackie (31.06). Jennifer’s winning time was 34.38 with a PB for second-placed Jenny Bannerman of Inverness Harriers in 35.17. Shettleston Harriers hill runner Tom Owens has been in action recently in Australia – competing in the Sky Running series which has been described as the ‘Champions League of mountain running’. The latest race was the Buffalo Stampede Ultra which covers 75.5k and some serious climbing. Tom took the title in 8 hours 17 minutes – with a winning margin of 11 minutes.